Two plays hit North Coast stages this week reminding us that when our morals are called into play we must answer accordingly, and if we are not careful, we learn our lessons too late. 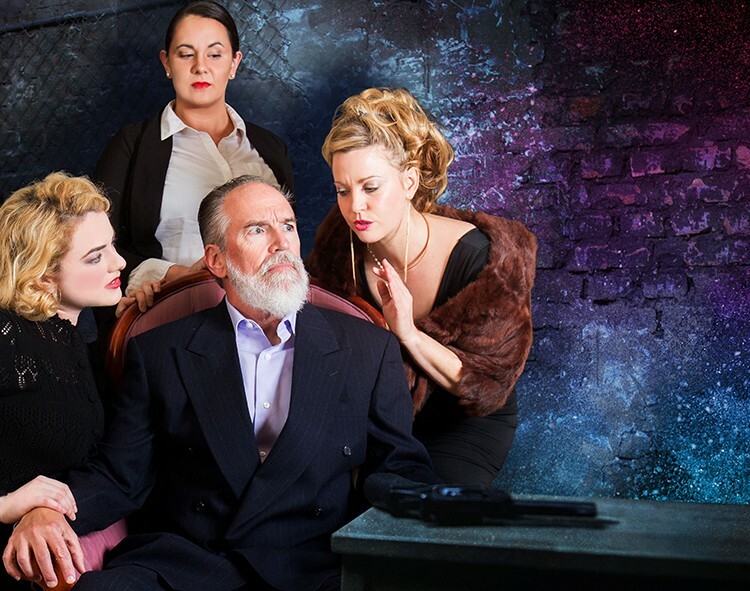 A modernized version of King Lear is up next at North Coast Repertory Theatre bringing Shakespeare's epic tale of unchecked ambition, deceit, war and madness to audiences Thursday, Jan. 18 at 8 p.m. and continuing Fridays and Saturdays at 8 p.m. through Feb. 10. ($16, $14 seniors/students). Director Tyler Egerer says, "This is a play about the figurative and literal blindness to the corrupting influence of power. Shakespeare, for me, is about experimenting and telling the same story with different results. We've changed the setting, mixed up the talent and modernized characters without abandoning the original feel and themes of the work." Meanwhile, the Arcata Arts Institute, in collaboration with Dell'Arte International, presents a student-written play about one survivor's story of the Holocaust with the backdrop of current events in Run, Hide, Repeat; A Game of Cat and Mouse, playing Thursday and Friday, Jan. 18-19 at 7 p.m. and Saturday, Jan. 20 at 2 p.m. (with talk back) at the AHS Fine Arts Center ($10, $8 senior, $5 child). Combining live theater, animation, shadow puppets, masks and original music, the performance draws parallels to recent events and asks us all to consider: "Where do we go from here?"